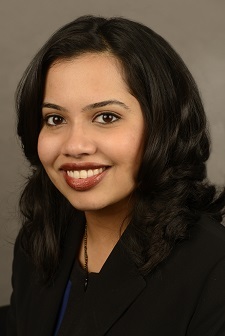 Dr. Namrata Nandakumar is a Board Certified Ophthalmologist with expertise and training in medical and surgical management of vitreo-retinal diseases. Dr. Nandakumar received her MD from Tufts University School of Medicine and subsequently went on to do a fellowship in medical and surgical management of vitreo-retinal diseases at Harvard Medical School through the Massachusetts Eye and Ear Infirmary. Currently, she is doing a research fellowship at Harvard’s Schepens Eye Research Institute with a focus on diabetic eye disease. She is on faculty at the Warren Alpert Medical School of Brown University, and is also on staff at Massachusetts Eye and Ear Infirmary. Dr. Nandakumar is also a member of the American Academy of Ophthalmology.